NEO LMS offers all the features an educator could want and more! The system manages to combine a wide array of tools that are accessible through a clean, user-friendly interface. Stay on top of student performance with analytics pop-ups in grade books. Choose from in-person and virtual classrooms or combine elements of both. Users can also access ecommerce tools, a course builder, learning paths, custom portals and much more. NEO is a multi-platform LMS that offers a long list of features in a way that’s easy to understand and utilize. The system focuses on engaging students while presenting a diverse collection of learning material. Users are given over 40 language options to choose from as well as convenient mobile apps. A clean, organized interface goes a long way in helping educators and students get the most out of classroom interactions. What Do You Get with NEO LMS? NEO LMS has everything covered when it comes to developing course content, managing students and reporting. The system was developed with learning institutions in mind and it really shows. What should you expect when trying out NEO LMS for the first time? There are many ways to teach. NEO LMS allows users to share knowledge in a way that works best for their organization and student body. Choose from purely instructor led classes or self-paced courses where learners can guide themselves. There’s also a blended option that combines elements of both for a great in-between experience. Customizable portals allow users to create a learning environment that matches their organization’s branding and goals. 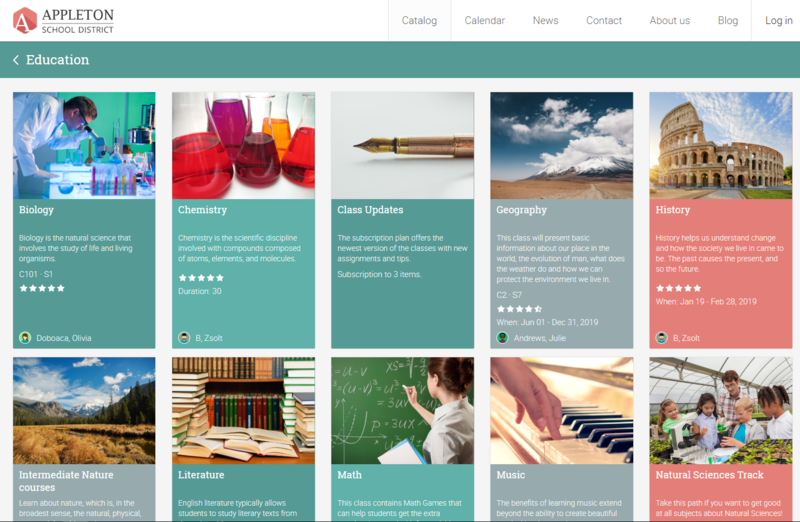 Neo LMS gives users the ability to build custom portals with a number of unique visual elements including personalized logos, colors, panels, photos and more. Instantly publish calendars and course catalogs with just one click. NEO LMS comes with a number of powerful integrations including PayPal, GoToMeeting, Google Drive, Google Apps, Authorize.net, Zapier, Stripe, iCal, OneDrive, Turnitin and many more. The list continues to grow with the help of user feedback. Users can build a custom curricula that matches their goals and needs. NEO LMS also provides access to preloaded Common Core standards that can be beneficial to U.S. users. The system automatically tracks progress so educators can see which students are grasping the material and which may need additional assistance. Universities can increase revenue by selling their courses online. NEO LMS offers built-in ecommerce solutions that are easy to use and manage. Users can list classes as available for sale online then accept payment through Stripe, PayPal or Authorize.net. Multiple currencies are supported as well as bulk discounts and bundles. 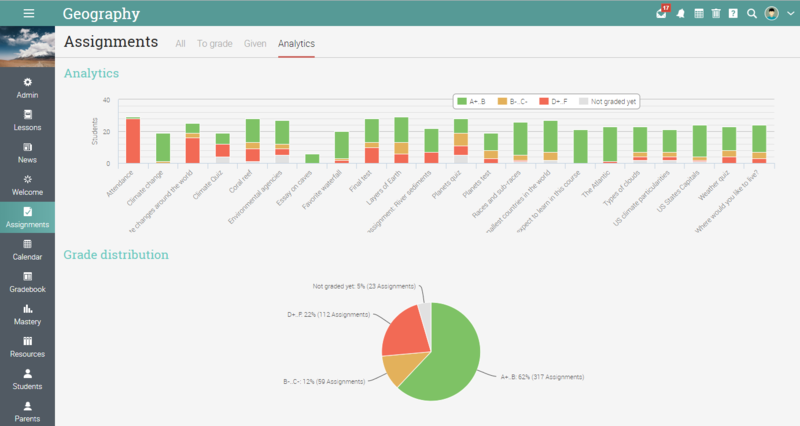 NEO LMS provides a handy Gradebook feature that lets educators keep a record of student performance. The system takes things one step further by adding pop-up analytics that provide additional insights. Users can access configuration options to tailor the grading process to their unique needs. Quickly identify attendance issues with NEO’s attendance features. The system monitors student presence so users can see which students were absent, late or right where they should be for class. Optional notes can be added as well. Attendance assignment options allow users to award points for being in class on time. A PDF printing option is also available for educators who need to collection student signatures in-person. Students and educators can collaborate easily with NEO’s messaging system. This includes bi-directional email integration so messages can be sent conveniently through email. Students can also be added to public and private groups. Each group has its own resources, collaboration tools and activity feed. Present information in a way that keeps students interested and engaged with gamification. This collection of exciting features incorporates a point system, leaderboards and badges that makes the learning experience fun for every class. Manage every class more effectively with Neo’s unique rules engine. Users can lock or unlock courses, enroll students in learning paths and award badges by adding their own set of custom rules. The rules can be modified as needed to stay on top of changes and new course options. NEO LMS doesn’t neglect the physical classroom. The system includes a seating chart feature that allows educators to map out student seating. Furniture can be added to create an accurate depiction of the real classroom. The seating chart also provides a glimpse of current grades and progress information for each student. NEO LMS covers all the basics and more when it comes to in-person and virtual education. The system lets users educate the way they want with customized portals, rules engine and gamification. Enterprise users can also provide mobile access that includes their organization’s unique branding on both Apple and Android platforms. There’s a lot of competition in the LMS market, but NEO seems to be up to the challenge. The system has many attractive features that can save time and allow teachers to do their jobs more effectively. The company continues to network and even made an appearance at the 2016 International Society for Technology in Education conference in Denver. There’s enormous potential in what NEO LMS has to offer and growth is likely to continue as more schools and universities discover its offerings. NEO LMS is a great choice for educational institutions in any part of the world. Accessibility is convenient, with both online and mobile solutions as well as in-classroom options. Educators can teach the way they want to in over 40 languages and monitor progress to look for areas that may need improvement. NEO offers all the basics as well as some powerful extras that go the extra mile in enhancing the learning experience. Do you work for Neo LMS?